I’ll bet you’re all enjoying my pants-fitting saga so much, you’re wishing it will never end! So I hope I don’t disappoint you by presenting the final (?) chapter in the story. Picking up from Round 6, I prepared Muslin F, based on all the changes I had hacked into Muslin E. Let’s take a look. This entry was posted in Pattern Alteration, Pattern Fitting, Trousers and tagged vogue-8940 on August 7, 2015 by mportuesisf. 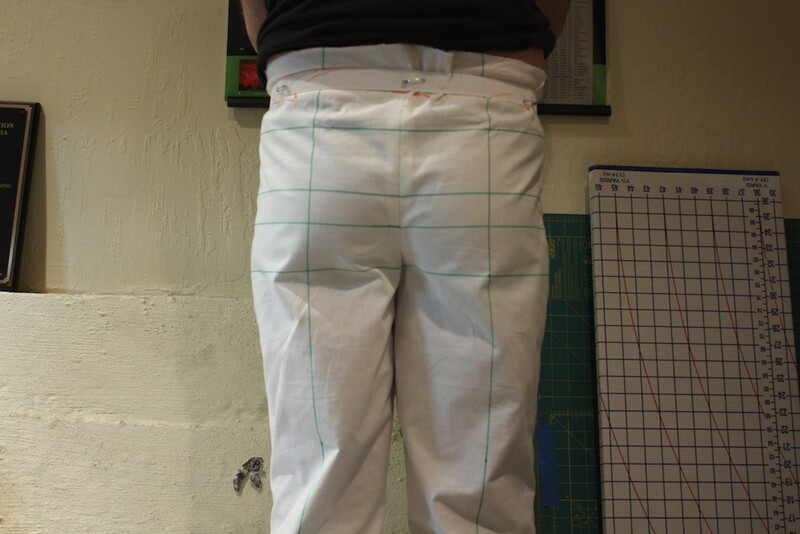 Time for a long-overdue update on my work with pants fitting. The project has gone slower than I would have liked, between a combination of work-related issues, and life events (fun ones!) that have kept me from the sewing room. This entry was posted in Pattern Alteration, Pattern Fitting, Trousers and tagged vogue-8940 on August 3, 2015 by mportuesisf. I’ll announce the winner of the Japanese Pattern Book Giveaway tomorrow. In the meantime, let’s get back to fitting pants. 1/2″ tuck in front and back, to raise the crotch point closer to my body. More scoop to the back crotch in the back, to create more front-back space for my seat. 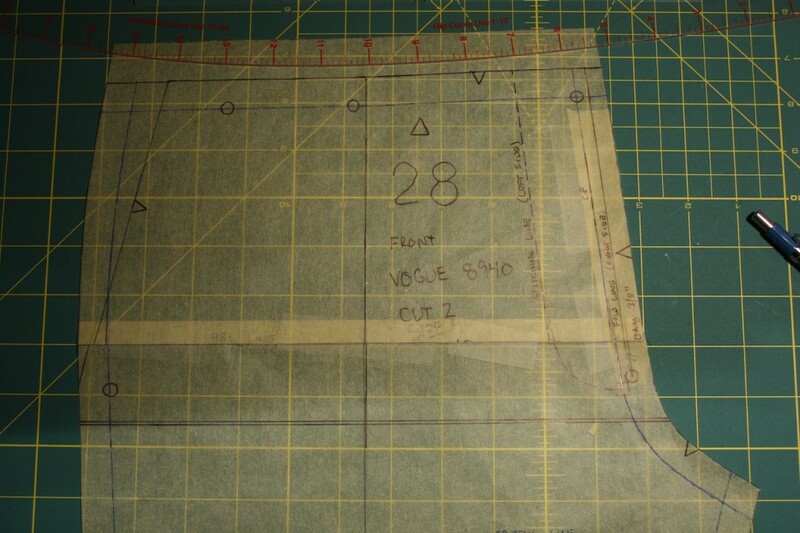 Add width along the back side seam to compensate for the circumference taken out by the crotch scoop. Here’s the pattern alterations I did. The half-inch tuck was a pretty simple alteration to front and back. Consulting with Sarah Veblen in the class forum, I decided to avoid the lengthen-shorten line provided by Vogue, because theirs goes right through the crotch curve. 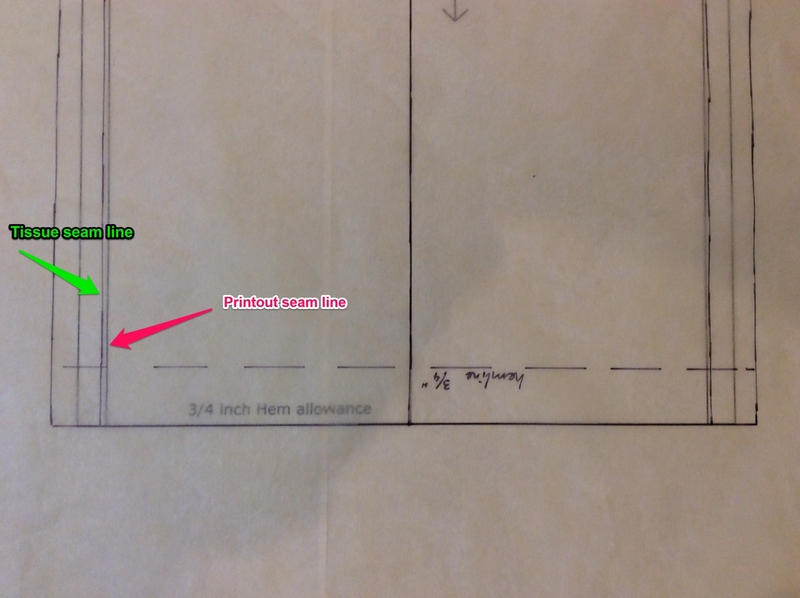 However, taking the tuck higher up means I’ll need to draft new front pocket facings for sure. This entry was posted in Pattern Alteration, Pattern Fitting, Trousers and tagged vogue-8940 on May 9, 2015 by mportuesisf.